NewsMatch raised $7.6 million from individual donors and a coalition of major funders for nonprofit news organizations in two months at the end of 2018. During the largest-ever grassroots fundraising campaign to support local news, over 240,000 people gave to 154 newsrooms between Nov. 1 and Dec. 31. 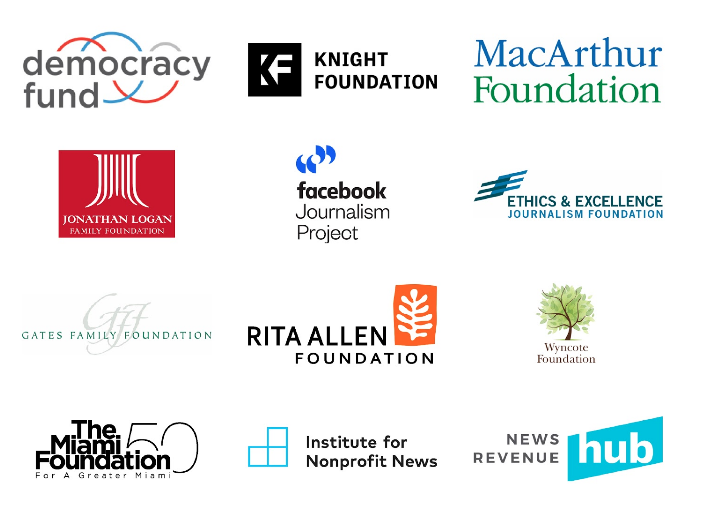 More than 50,000 new donors supported a nonprofit newsroom for the first time. IowaWatch was part of the NewsMatch fund drive, raising more than $29,000 in November and December, of which more than $22,150 was eligible for a match. Participating newsrooms represent 42 states, Washington, D.C., and Puerto Rico, with two-thirds focused on state or local journalism. Nearly one-third were participating in NewsMatch for the first time. The Institute for Nonprofit News is a network of more than 200 nonprofit, nonpartisan news media, together strengthening the sources of trusted information for thousands of diverse communities. INN was founded in 2009 to foster a new collective of newsrooms serving the public interest. Today it functions as an innovation network, helping members develop new ways to support journalism and engage communities, providing business, technology and leadership support and a framework for collaboration. INN’s work helps newsrooms bring investigative and civic news to more people, hold the powerful accountable and strengthen democracy.